Klamath Falls, Ore. - On September 12th, a group from Klamath Falls traveled to and met with representatives from SkyWest Airlines, based in St. George, Utah. The meeting was initiated and facilitated by Mead & Hunt, an aviation consulting group with deep experience in the Pacific Northwest’s aviation sector. At the conclusion of the meeting, SkyWest indicated an internal route analysis was needed to evaluate Klamath’s proposal, and indicated it would complete its initial feasibility assessment in the following weeks. During a follow-up conference call with SkyWest officials today they indicated that their assessment of the Klamath Falls market is promising and they will continue to evaluate the feasibility of establishing passenger service at some point in the future. 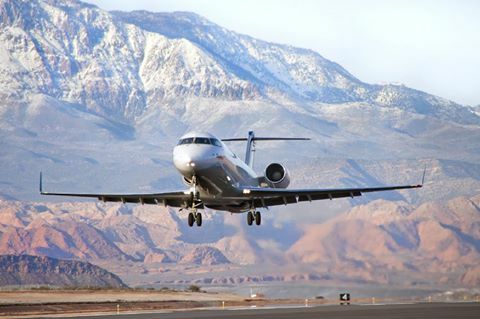 If SkyWest decides to move forward with service, it will not likely occur until the Fall of 2018 due to a current lack of aircraft availability. If a deal is struck with SkyWest, the airline would initiate service from Klamath Falls to San Francisco daily, using a 50-seat Canadair Regional Jet 200. Flights to Portland, and potentially other markets if demand supported expansion, could be considered if service to San Francisco was successful.